Mexico Timeshare Scam: How does Adeprotur Support the Timeshare Industry? How does Adeprotur Support the Timeshare Industry? Even if you are fairly knowledgeable about timeshares and the timeshare industry in Mexico you may never have heard of Adeprotur, but trust us when we say that they are very important to the quality and success of timeshares within Puerto Vallarta, Riviera Nayarit and Banderas Bay! Timeshares in this area first began in the 1970’s, and was off to a rocky start. Thus in the 80’s, 1986 to be precise, five of the biggest players in the industry came together with the vision of ensuring that the area’s industry was sustainable, ethical, and well thought of. They aimed to do that by ensuring good business practice within the commercialization of the area, and within the 180 sites in Puerto Vallarta, Riviera Nayarit and Banderas Bay at the time (more like 500 now!). Today Adeprotur has 24 associates and agreements and contracts with private companies and federal government alike; the 2015 – 2017 board of directors was made up of 4 chair persons, a secretary, a treasurer, a President, and a Vice President. 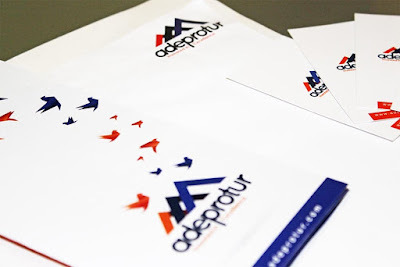 Together they have worked towards furthering both the long and short-term goals of Adeprotur. In the short term, Adeprotur seeks to help vacation clubs and timeshare developments in the area to achieve ethical and sustainable growth with the help of its associates. This means transparency in all areas of the process, good business practice, and building good relationships with the local people and businesses. These factors are also a part of the advice that Adeprotur gives to timeshare developers in regards to its long-term goals. In the long term Adeprotur aims to promote innovative and sustainable development in commercialization and timeshare management so that the industry as a whole can benefit the areas in which it is most prevalent in a regular and stable way. They do all this because they understand that an ethical and dynamic timeshare industry brings huge value to Banderas Bay and Riviera Nayarit; steady levels of occupancy and the returning nature of most guests mean that timeshare heavy areas avoid the peaks and troughs that plague many tourist towns. So Many Ways to be Scammed! Real Estate or Timeshare in Puerto Vallarta?